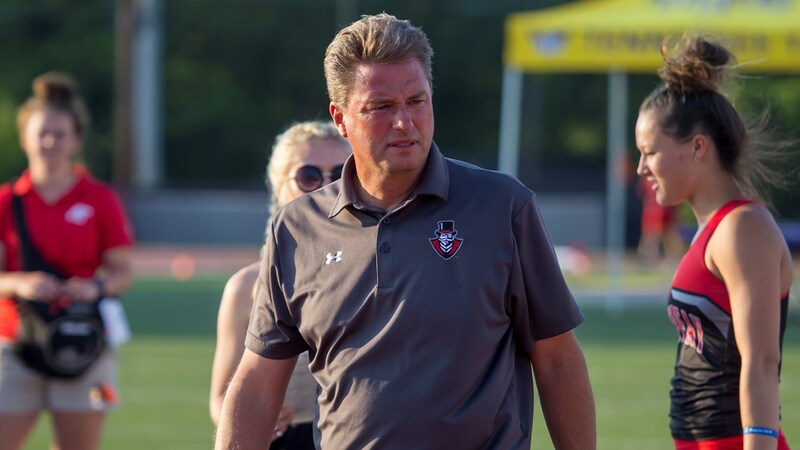 Brentwood, TN – For the eighth time in program history, Austin Peay State University track and field has earned the Ohio Valley Conference Women’s Track and Field Team Sportsmanship Award. This is the third year in a row and fifth time in six seasons head coach Doug Molnar‘s squad has earned the outdoor honor. Austin Peay has earned six sportsmanship honors in outdoor competition and two more during indoor season. The track and field team is the second APSU program to earn an OVC Team Sportsmanship honor for the 2017-18 season, joining men’s cross country. Voted on by the student-athletes and coaches of the respective sports, the team awards are bestowed upon Conference squads deemed to have best exhibited the standards of sportsmanship and ethical behavior as outlined by the OVC and NCAA. Included in the areas for evaluation are the conduct of student-athletes, coaches, staff and administrators and fans. Tennessee State took the honor on the men’s side. Implemented in August 2005, the team honors are the most recent addition to an awards program that recognizes and celebrates sportsmanship within the Conference. In 1998, the league established the Steve Hamilton Sportsmanship Award, presented annually to a male or female student-athlete of junior or senior status who best exemplifies the characteristics of the late Morehead State student-athlete, coach and administrator. Five years later, the Conference added the OVC Sportsmanship Award, presented annually to the member institution selected by its peers to have best exhibited the standards of sportsmanship and ethical behavior as outlined by the OVC and NCAA. In 1995, the Ohio Valley Conference implemented a first-of-its-kind “Sportsmanship Statement,” a policy promoting principles of fair play, ethical conduct and respect for one’s opponent. The statement answered the challenge of the NCAA Presidents Commission to improve sportsmanship in collegiate athletics, and has become a model for others to follow across the nation.